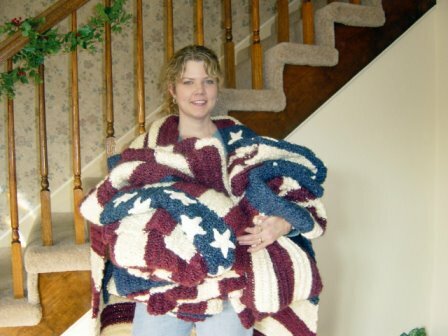 I still love going to visit and seeing flag afghans thrown over familiar couches. What a shame I didn’t find time to make one for us! This pattern was from Lion Brand yarn and I’d have linked it up, but they make you sign in to see patterns. Feel free to dig for it on their site here if you like! I want one, too! I just don’t have time to make one for us anymore – shame on me for not doing it back then!